We are part of The Time Travellers with a special interest in the impact of the Romans on the landscape of South Yorkshire and North Derbyshire. 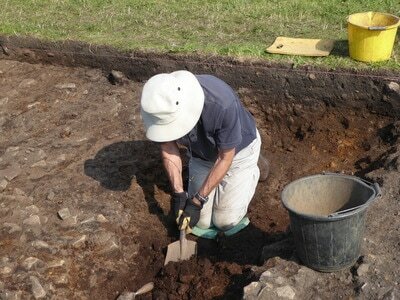 Our main project has been to identify the lost Roman route between the Roman forts at Brough ( Navio )in the Hope Valley and Templeborough in the Don Valley. Over the years the specific route has become lost and it has been one of the primary research projects of the Roman Landscape group to rediscover it. Have we been successful? Absolutely! So if you are interested in becoming part of this team who have a very hands-on approach do get in touch with any of the Committee who will forward your interest. 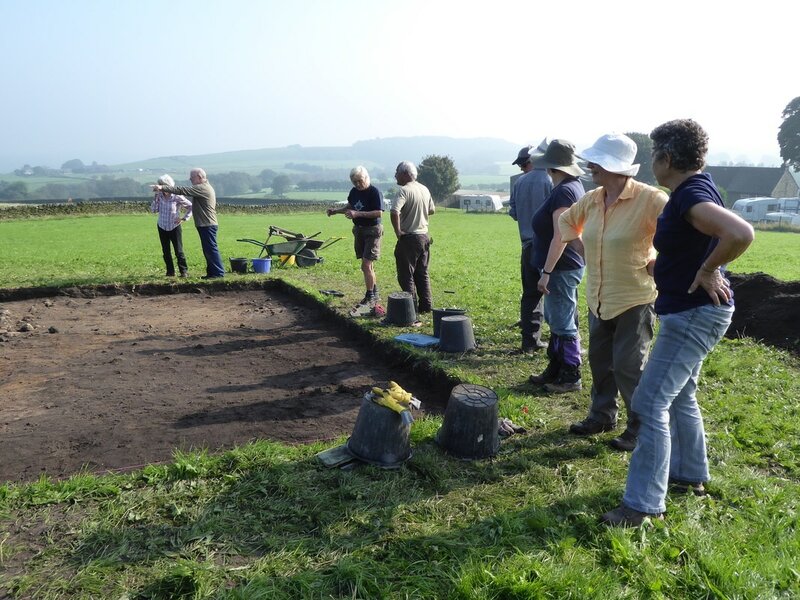 The group meets about once a month for research and discussion of findings, and can be found combing the landscape or carrying out desk-based research on a regular basis. 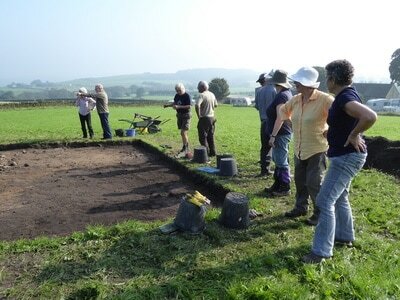 Some of the Roman Landscape group at work uncovering a Roman road surface at Sheephill Farm near Dore. 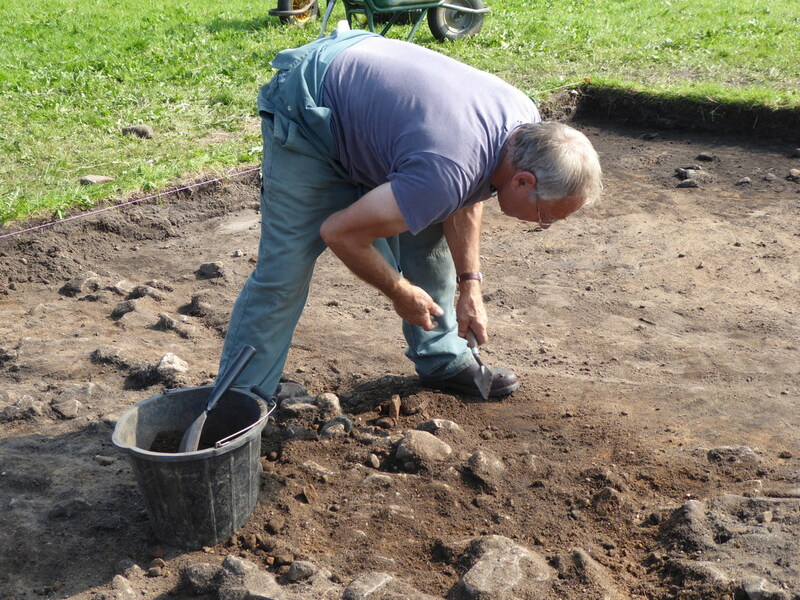 And of course, the recent discoveries at Whirlow Hall Farm, in our Summer 2016 dig, of a confirmed Roman signal station and watch tower as well as the Roman farming settlement have been very exciting; being so close to our Roman road discoveries.